The Troubles in Northern Ireland were a fiercely sectarian event. Few periods in modern history have seen such clear demarcation between Protestant and Catholic. This partition was expressed both in terms of the formation of political borders, as well as social and cultural boundaries. Such forceful and violent rivalry allowed old fissures to be opened anew. At times these cultural boundaries were enforced with physical force violence such as at Bloody Sunday in Derry. In other instances, these borders were created peacefully as seen with the Belfast Agreement. 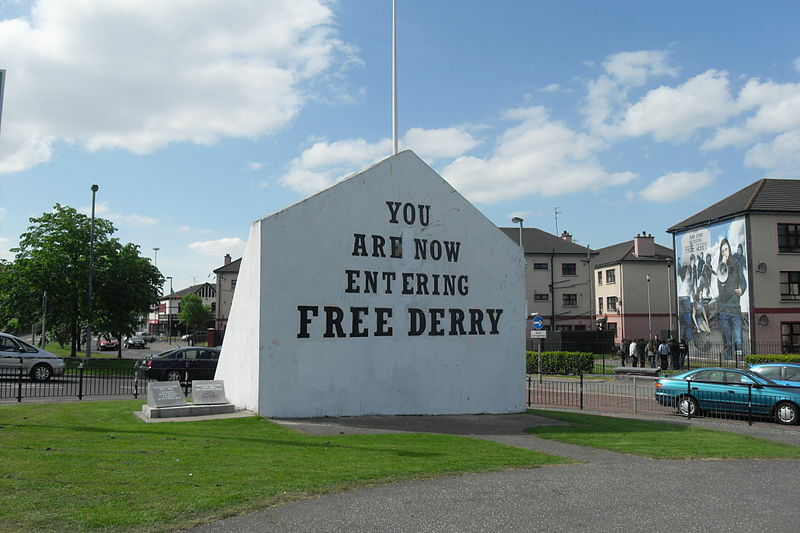 Throughout the Troubles symbols such as peace lines, murals, and the Orange Order all served to mark identity and create lenses for which to view the events in retrospect. What’s the Difference Between Borders and Boundaries? The terms borders and boundaries are often used in everyday life, sometimes used interchangeably. However, despite their synonymous sound the two are not necessarily one and the same. Borders and boundaries are similar to each other in the way that they are both manifestations of divisions in society. Borders are physical divides and usually involve politics, whereas boundaries are social and cultural separations. These concepts are intertwined and play off of each other continually and cyclically. Social boundaries tend to create borders and in return borders perpetuate boundaries and the cycle continues. One can see this dynamic everywhere from a bathroom to the Berlin Wall showing that the idea of “you are not allowed in this area because you aren’t a certain way” is everywhere, operating at different levels of conscious realization. We found the Troubles in Northern Ireland to be a particularly good time period to analyze the complexities of borders and boundaries. Free Derry Corner, an example of the crystallization of a cultural boundary between Catholic and Protestants in the city of Derry.